Kamal Haasan, the latest film star to don the political mantle, loves to talk in riddles. He probably means well and is even serious about doing a good job in politics, but he often talks in what sounds like staccato bursts of arcane poetry. This makes his new party, which he calls Makkal Needhi Maiam (MNM) — or Centre for People's Justice, a conundrum that leaves people scratching their heads and wondering what it's all about. If the name sounds as if it's a bunch of Maoist hotheads on the JNU campus, Haasan may be excused. Perhaps like the Italians, he has a fondness for outlandish names for political parties. Italy has parties called Us With Italy, Direction Italy, Five Star Movement and the like. Whatever the name, Wednesday's launch of Haasan's party was more like a teaser trailer that threw up hints, but stopped short of the mega premiere that his legion of fans had hoped it would be. Nobody can say the plot is thickening, because nobody knows what the plot is. If anything, the plot is only getting more confusing. A tantalising preview may be a nice thing if you want to ramp up suspense and interest before a film's release. 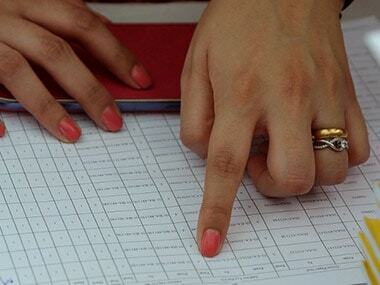 But political parties need to be launched with more clarity, with no fear of spoilers. Considering the nasty experiences Tamil Nadu and Andhra Pradesh have had with parties launched or led by movie stars, Haasan needs to tell people in simple, unriddled prose what he wants to do. The MNM leader's professed intention to tidy up the filth in Tamil Nadu's decadent politics and turn the state into a squeaky-clean place is admirable. But if he knows how he wants to achieve that noble objective, he hasn't shared it with us. A leader launching a party has to do much more than shooting off tweet-length sermons about the evils of corruption. Rhetoric against corruption, something in which most parties — including the most corrupt of them — indulge, can only be a part of a party's programme but not all of it. 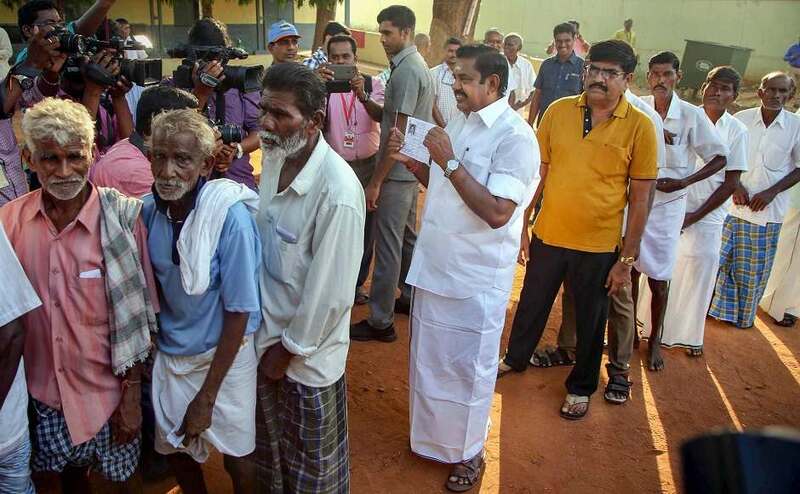 Modern voters, even those in Tamil Nadu where politics have reached abysmal depths, would be better off knowing a new party's political and economic agenda a bit more elaborately. Haasan's reputation as one of India's best actors and a gentleman also won't guarantee him votes. Apart from corruption, the only thing the actor has been consistent about is his allergy to communalism. That's a fine stand to take since nobody in the right mind supports communalism. And he has made no secret of the fact that he will keep a safe distance from Prime Minister Narendra Modi and his BJP. This has sent Modi-baiters and Left-leaning intellectuals into joyous raptures like happy children who have been handed lollipops. You can hear them sing songs of celebration, hailing Haasan as an angel dropped from heaven to fight the demon of Modi. This again, however, won't do to get him enough votes in Tamil Nadu, where Hindutva is not a big talking point. Haasan has a right to choose who or what he wants to fight, but who are his friends? Try to answer that question, and you again end up wondering what's going on. Arvind Kejriwal, Pinarayi Vijayan as role models? Haasan has left many in Tamil Nadu as well as those outside the state unenthused, dismayed and puzzled by holding up as his role models Arvind Kejriwal of AAP and Pinarayi Vijayan of the CPM. Is the actor unaware that AAP has failed people's expectations after a promising start as a party that took birth from an anti-corruption crusade? Hasn't anyone told him that, after winning Delhi elections, AAP turned into a party of intrigues, personality cult and ego clashes that would shame even the Congress? As for the CPM, it suffers from hallucinations about Communism that most of the world has discarded as ideological junk; it's a party that's making a slow disappearance from India. If Haasan isn't aware of all this, he must educate himself about things beyond Dravidian politics before picking his friends. 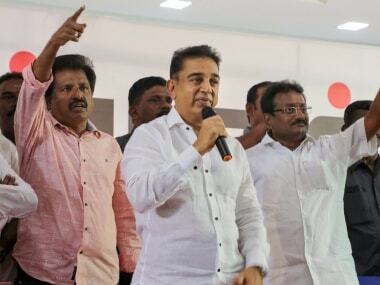 Haasan will leave even his admirers wondering whether he is so ideologically confused that he should tap on the shoulders of Kejriwal, Vijayan and the likes to draw inspiration. So is Haasan a Leftist? Ask that question and you will get an answer by way of another riddle. 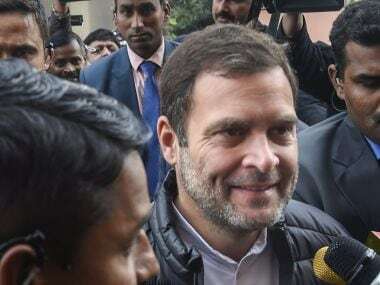 He said in his launch speech on Wednesday that he chose the word 'Maiam' (which means centre) in the party's name because he is neither with "the left nor the right". That's not all. He went on to say in his column in Tamil magazine Ananda Vikatan on Thursday: "I want to reflect all those who are good to the country from the centre. People too seek that." You end up shaking your head. If Haasan revels at least in his vagueness, the other actor Rajinikanth, who too is taking the political plunge, goes about in a state of nothingness by saying, "yes", nothing and maintaining Sphinx-like silence on issues. Like a ballerina unsure of her footsteps, Rajinikanth is making a phased and slow entry into politics. This reminds me of the days when superstar NT Rama Rao launched his Telugu Desam in 1982. His speeches, that I had the misfortune to attend, made little sense even to his closest friends. He misquoted historical figures and bandied about non-existent statistics without batting an eyelid as if he was reading from a bad script, made worse by his insufferable movie-like gesticulations. But he got away with it because the Congress had made such a grand mess of itself, that with his demigod status in Andhra Pradesh, NTR's very presence on the scene helped him sweep the polls. He didn't need to bother to offer a meaningful, alternative programme. Haasan won't be as lucky. He wants to jump into the vacuum that he believes the demise of J Jayalalithaa has left behind, but even Rajinikanth wants to set his foot in the same no man's land. Besides, neither Jayalalithaa's AIADMK, nor the DMK shows signs of any irreparable decay in Tamil Nadu's politics. They are not in the same predicament as the Congress experienced in Andhra Pradesh in 1982. Both Haasan and Rajinikanth need to make clear what their respective parties stand for if they want to take voters away from the two Dravidian parties. 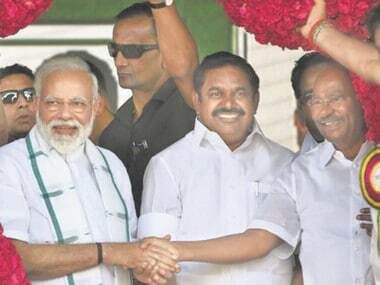 In the absence of that, only one thing may happen: Despite their public bonhomie, they will end up fighting each other to occupy the same political space while one of the Dravidian parties walks away with victory. Two heroes fighting for the same heroine isn't new. But the villain walking away with her in the end won't make a good movie.